When the Nurucoin ICO hit the green light, there was a lot of buzz surrounding the new cryptocurrency that was meant to solve inter-African trade problems. In theory, Nurucoin was to be used as a payment on an e-commerce platform, BlazeBay, that would open up African trade allowing users to buy and sell goods without the worry of currency exchange rates. This is the vision that the company’s founder, Isaac Muthui sold to his prospective investors. Fast forward to July 2018 and the cryptocurrency whose ICO closed on March 17, 2018, is yet to make any significant strides. On the contrary, fears that a number of people had back in January when the campaigns of the company’s ICO were on high gear seem to be coming to fruition. Pre-ICO, there were a number of red flags that were cited by a number of Kenyan media, including the fact that all of the listed Nurucoin partners were under the same umbrella company but this was after Nuru Inc promptly delisted Little (the taxi-hailing company) and JamboPay for unknown reasons. At that time, Isaac Muthui brushed off any concerns that Nurucoin was an elaborate scam, with Kenyans still largely unknowledgeable about cryptocurrency and the 2017 surge of Bitcoin price still fresh in their minds, it is easy to see why they would believe a pastor who comes with the promise of making them rich with his “African Bitcoin”. 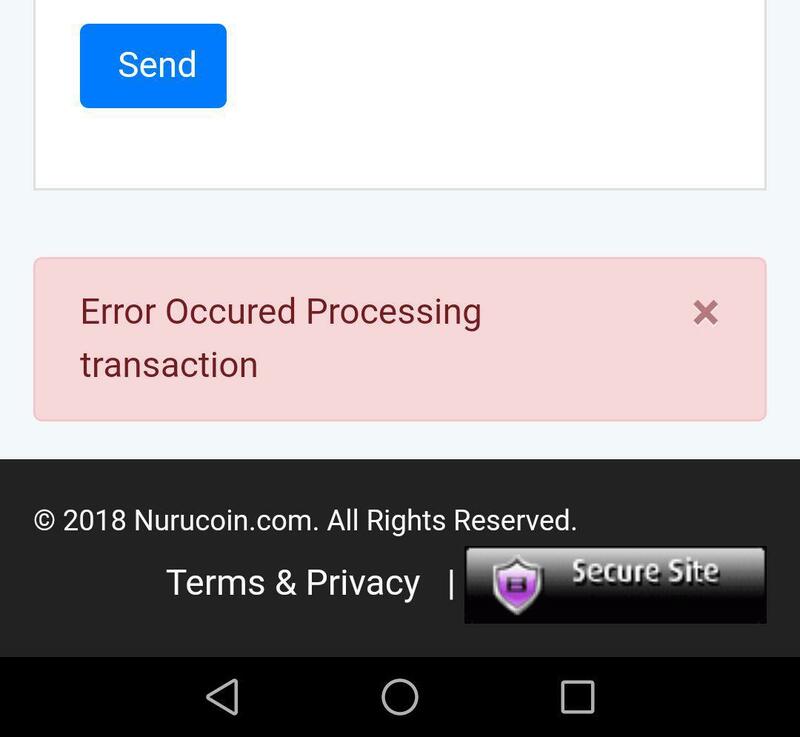 Unfortunately, the sheep’s clothes don’t fit on Nurucoin anymore. A quick perusal of Nurucoin’s social media pages tell the story of unfulfilled promises and ignored customer concerns. “I have never received any coins” and similar stories flood the company’s online social circles. Information we have points out that the cries are even louder offline as most people who invested in Nurucoin, did so by visiting the company’s offices. During the ICO, Nurucoin had a target of $100 Million, which was to be met by selling a billion tokens at Kes.10 each. People familiar with the matter say that out of the billion tokens, the company had a deficit of 50 million tokens by the time the ICO was closing and this led the company to start selling the said tokens at their offices before launching the exchange that would allow Nurucoin investors to trade on the cryptocurrency. This, however, did not sit well with investors as they felt short-changed by Nuru Inc’s decision to sell more tokens even after the ICO closed. On top of this, Nuru Inc had promised to launch the exchange as early as March 25th but this did not come to pass, followed by a second promise to launch the exchange by end of June, a deadline that was confidently missed. According to Nurucoin officials, auditors of their wallet found security vulnerabilities and thus delayed the launch. 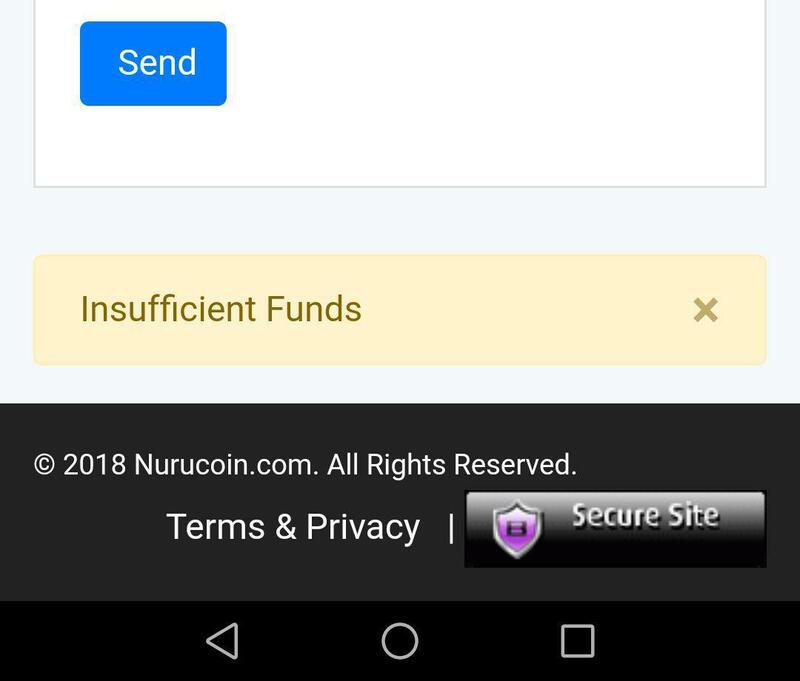 Possibly through miracles and after numerous complains, Nuru Inc announced that the Nurucoin was available to trade on an unknown cryptocurrency platform, Acefinex. WHO IS data shows that the domain www.acefinix.com was registered on 13th May 2018. Interestingly, the domain does not match the platform’s name, Acefinix is spelt with an i on the domain and an e on the site’s name but this could be nothing. Aside from the seemingly misspelt domain, one of the investors raised a point a few days after Acefinex was launched. The investor, who prefers to remain anonymous claims that the Acefinex exchange is not a real exchange. “…what you just launched is it an exchange site?” he asked on one of the company’s communication forums, to which he got a response that indeed Acefinex was a legit exchange. The investor went ahead and accused Nurucoin of lying to its customers, claiming that Acefinix was an HTML site. “When you look at the backend of the site, it’s purely HTML done. Like there are no scripts and functions to fetch data from maybe a server,” he told Techweez. The investor, come system analyst at a well-known international firm, expresses concern that the Acefinex exchange platform is just part of the elaborate scam to dupe Kenyans. Our research shows that Acefinex is not listed anywhere as a registered cryptocurrency platform and the only evidence of its existence is an article done by tokenmap.net that announces the launch of the platform. Our own interaction with the Acefinex platform leaves us with more questions than Nurucoin officials are willing to answer. For intsance, we noticed that only Nurucoin is being “traded” on the platform despite it listing Bitcoin and Ethereum as well. Acefinex is also registered in Mauritius, similar to you-know-who. We also noticed that there are no Terms and Conditions listed on the site depsite having a button for the same. In search of the truth, we reached out to Nurucoin’s Chief Technical Officer, Titus Kaswii, who initially declined to comment on the accusations but later on inferred to us that Nurucoin does not in anyway own Acefinex, “We as Nurucoin are just riding on their platform,” he said. He went further to ask us to contact Acefinex directly, a process that would turn into a game of bounce as non of the platform’s listed contacts actually work. Interestingly, from the article published by Token Map, Titus Kaswii is mentioned as Acefinex Chief Technical Officer, the same Titus we spoke to as Nurucoin’s CTO, swinging the beam towards the belief that this could all be an elaborate scam. The most worrying factor is that there are numerous individuals without any technical knowledge at all who put in their money into Nurucoin and are eagerly waiting to cash-out, especially now that Acefinex lists Nurucoin’s trading price as $1.16 per coin.